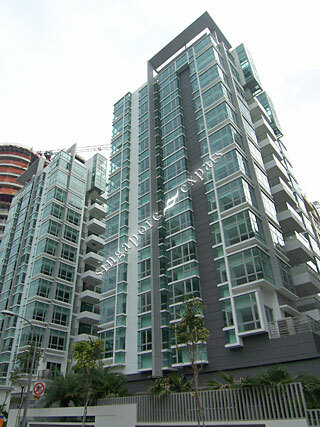 NATHAN RESIDENCES is located at 23, 25 NATHAN ROAD in district 10 (Bukit Timah, Grange, Holland) of Singapore. NATHAN RESIDENCES is a Freehold Condo development consisting of 91 units. NATHAN RESIDENCES is completed / TOP in 2012 (estimated), developed by TAT AIK PROPERTY PTE LTD.
Educational institutions like ISS ELEMENTARY & MIDDLE SCHOOL, SRI MANASSEH MEYER INTERNATIONAL SCHOOL, MANASSEH MEYER SCHOOL, RIVER VALLEY PRIMARY SCHOOL, ZHANGDE PRIMARY SCHOOL and GAN ENG SENG PRIMARY SCHOOL are near to NATHAN RESIDENCES. NATHAN RESIDENCES is accessible via nearby TIONG BAHRU, ORCHARD and REDHILL MRT Stations. NEw! TOP soon! Mins to Great World City! Convenient!